​Manchester United midfielder Ander Herrera is reportedly set to extend his stay at Old Trafford, despite reports linking him with a free transfer to Paris Saint-Germain. The Spaniard finds himself out of contract this summer and is yet to agree on fresh terms, prompting ​reports that he could swap Manchester for a bumper payday in Paris when his deal expires. However, contrary to earlier reports the ​Manchester Evening News claims that ​Herrera has not been in contact with PSG and instead expects to sign a new contract with ​United. The 29-year-old has been a vital part of Ole Gunnar Solskjaer's revolution at United, lining up alongside ​Paul Pogba and ​Nemanja Matic in a physical midfield trio. He has missed just five matches under the Norwegian, four of which came as a result of a hip injury, but quickly returned to the lineup for the 2-1 loss to ​Wolverhampton Wanderers on Saturday. 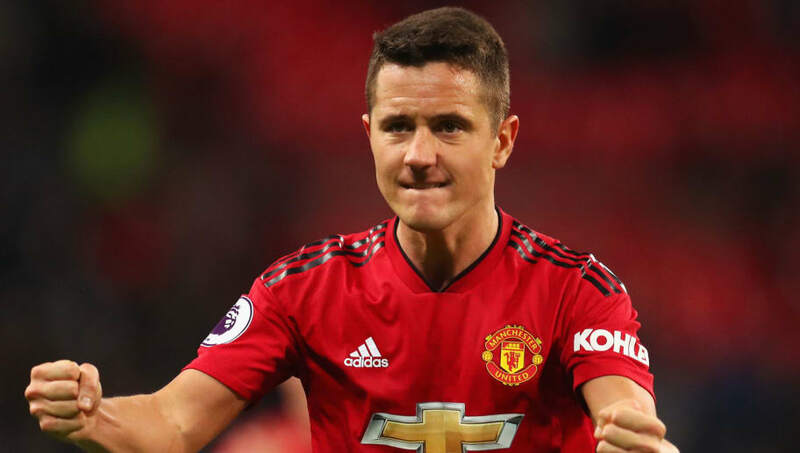 In total, Herrera has made 25 appearances this season, contributing three goals and three assists, including the second goal of Solksjaer's reign in a 5-1 win over ​Cardiff City in December 2018. However, this confidence is not shared when it comes to the contracts of both Antonio Valencia and ​Juan Mata. The former is set to leave the club at the end of the season after United rejected the chance to extend his deal, whilst an agreement is yet to be reached with Mata.